Multi Fresh will free your cat litter tray and its surroundings permanently from unpleasant smells and stringent odours, and make your cat litter last longer. Beaphar Multi Fresh is pH neutral, fully biodegradable and makes life with your cat pleasantly fresh and clean. The special urine encapsulation technology ensures immediate binding of urine particles (ammoniac). Unpleasant and strong smells are encapsulated directly, so that no odour is ever given out by the cat toilet. Useful enzymes break down organic odour particles and remove them long-term. Unpleasant odours that naturally originate from litter boxes and trays are "eaten up" and completely neutralised, instead of just covering them up. 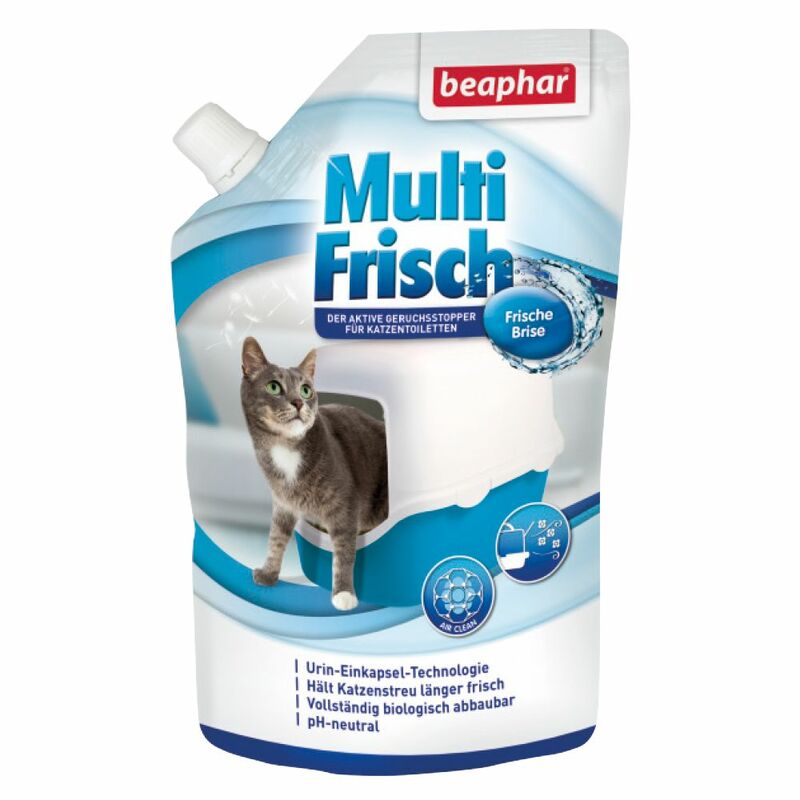 Using Beaphar Multi Fresh doubles the amount of time you can use cat litter for. This not only saves you time you would normally spend cleaning the litter box, it also saves money by halving the amount of cat litter you need. The inclusion of urine encapsulation technology makes it last even longer. One pack should last up to 20 uses. Application: Sprinkle Beaphar Multi Fresh evenly over the litter tray after replacing the litter. Approx. 20g of powder is sufficient for one use (20g = apprx. 1 tbsp of Multi Fresh). This dosage is sufficient for 1 cat, for apprx. 1 week. If several cats are using the litter box, the cat litter and Beaphar Multi Fresh can be refreshed every 3-4 days.